These sessions are designed to get small groups of girls together to enjoy the sport of surfing and encourage one another. Celebrating community and what is unique and special about each of our girls in a non competitive fun environment. Surfing is a sport you get the most out of if you dedicate consecutive time to mastering it, the more days in a row you surf the better you get. Surfing is hard to master if there are many days, weeks or months between surfs. 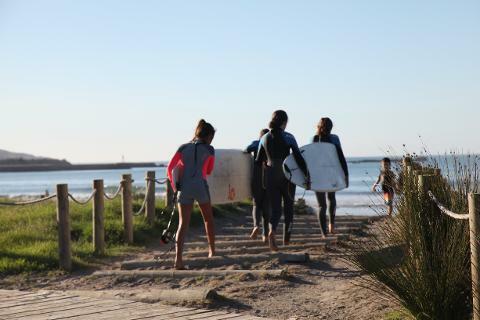 We want to help you be at your best and therefore offer a discount for consecutive surf days with us, this is where things start to come together and your progression can be astounding!